In this 30 min session you will learn how Bleacher Report used Redis Labs to build a highly scalable, highly available, and top performing application with sub 60ms response times. Redis is an open source in memory NoSQL database best known for its sub-millisecond latency. Why we needed to build the API app. Why Bleacher report relies on Redis as a critical infrastructure component. How to leverage Redis operations and methods. Issues, and lessons learned in building the B/R API service with Redis. What we found out about Redis Cloud by Redis Labs vs open-source Redis performance. 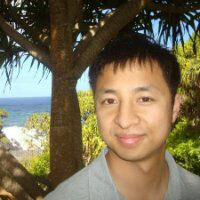 Tung Nguyen is Senior Director of Engineering at Bleacher Report. The first non-founder employee at Bleacher Report (B/R), Tung has scaled B/R’s engineering to deal with explosive growth. B/R has gone from obscurity at 50K visitors/month to now the 2nd largest sports site in the world at 80 million visitors/month. Prior to B/R, Tung graduated from UC Davis California with a degree in Electrical Engineering.